British Gas has become the latest big six energy supplier to announce that it will implement a price increase. Due to come into effect from next month (23 November), electricity prices will rise by 10.4 per cent, and gas prices by 8.4 per cent. For dual-fuel customers, prices are expected to rise by 9.2 per cent. The respective increases are expected to affect about eight million British Gas customers in the United Kingdom. Those on a dual-fuel tariff are expected, on average, to see their bills hit £1,444 per year. The gas and electricity supplier has stated that it acknowledges the news is unwelcome. Ian Peters, managing director of British Gas Residential Energy, spoke about the price rise. He said: "I know these are difficult times for many customers and totally understand the frustration that so many household costs keep rising when incomes are not keeping pace. "We haven't taken this decision lightly, but what is pushing up energy prices at the moment are costs that are not all directly under our control," Mr Peters added. Big six rival SSE previously announced that its energy prices would increase by 8.2 per cent. 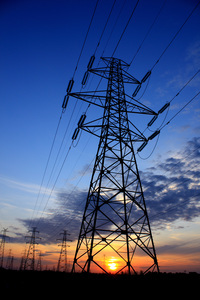 Many of the UK's energy suppliers are partaking in the Green Deal. Under the Green Deal - a government initiative - homeowners can apply to receive funding for new boilers and other energy efficiency improvements for the home. They can then pay the money back in staggered repayments through their energy bills.